Browsing through the photos that I took last week. I decided to make a post on Osaka Castle. Osaka castle by day looks like that in the above image. At night, there will be lights shining on the castle to make it look special. I decided to come over at the evening as I wanted to catch the orange spotlighting on the castle. As I made my way down to the castle, it was a long walk from the station. I am not sure if there is any bus that could reach but I am definitely sure that the train does not give direct access to the castle. On my way, I was amazed by the view of the autumn trees with the sunset contrast. It was a beauty in disguise. I wish I have a better camera but this was the best that I could do. After crossing the overhead bridge and approximately 15minutes of walk, you will be able to catch a glimpse of the castle. Osaka castle started its construction in 1583. Toyotomi Hideyoshi’s intention of this castle was to create a new and unified Japan under his rule. In fact, it was the largest castle at that period. Shortly after his death, the castle was destroyed in 1615. It was rebuilt in 1620s but was struck by lightning and the tower was being burnt down. 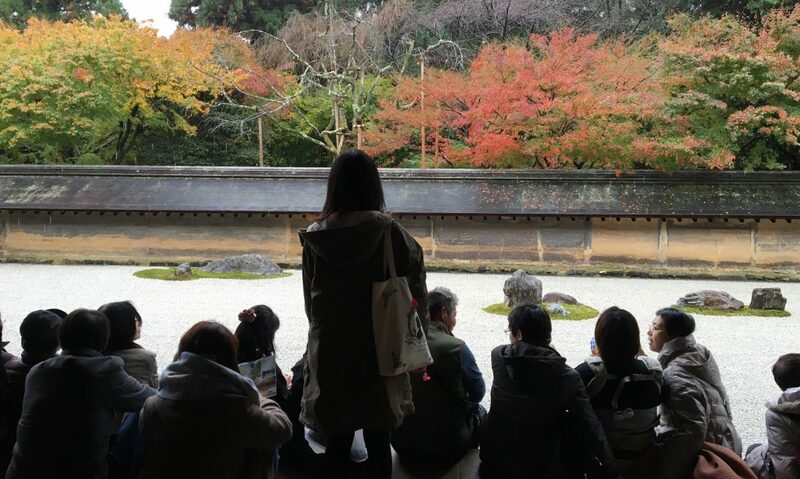 The castle was only rebuilt at 1931 and also survived the World war and here we are viewing another heritage of Japan. The entrance to the castle is really long and big. It took me another 5 minutes before I actually saw it up close. Trying my best to combine the autumn tree and the castle together. I was also lucky to see a plane crossing over the castle but it was so tiny in my image. lol. I took quite a number of photos of this castle from different view point. By the time I was done with it, it was already pretty dark. I did not get to capture the image of the Osaka castle park unfortunately. In most of the blog that you see, when you are at Osaka Castle, do not miss out the must eat ice cream! This is 450yen and they understand English. Ok. Had a really long emotional week this week. Really hope everything going back to normal next week, especially on Monday (12/12). Got to go hit the sack. See you guys in the next post!